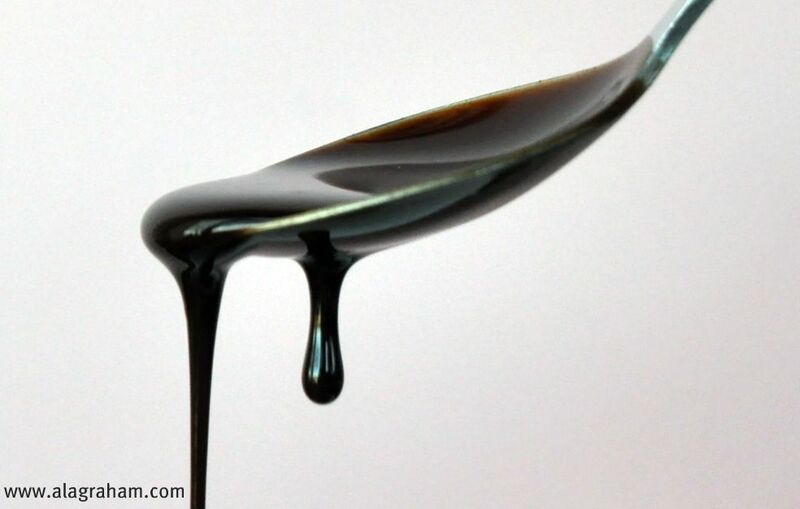 High Fructose Corn Syrup and Corn Syrup are the main ingredients in Hershey's Chocolate Syrup...followed by water, cocoa and sugar. I have been reading ingredients on common foods I eat and I am amazed how so many things I eat have High Fructose Corn Syrup as a main ingredient. So I found this great recipe...now you can make chocolate syrup at home without the High Fructose Corn Syrup and Corn Syrup and have the exact same taste. On medium heat, add the cocoa powder and water in a saucepan and stir until cocoa is dissolved. 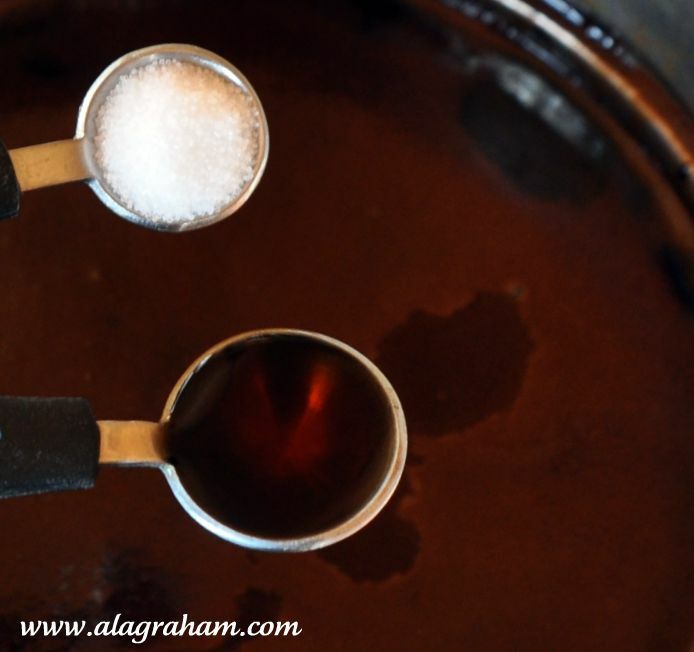 Add the sugar, stir to dissolve. Boil for 3 minutes over medium heat. Let cool. Pour into a glass jar or an airtight container and store in the refrigerator. Yes, you are so right! Someone once told me we shouldn't eat anything ending in "ose." Easier said than done, it's in everything it seems. 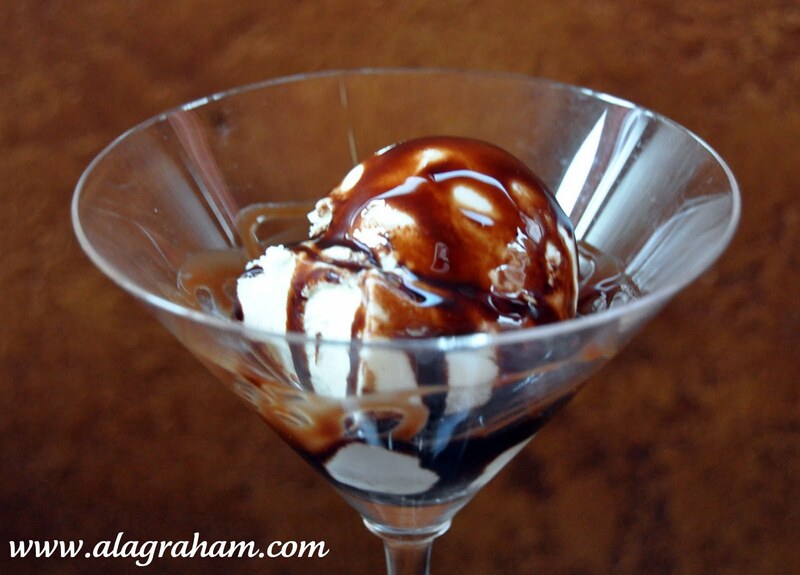 Your syrup looks creamy,chocolaty, sinfully good! I certainly would like to dig into that ice cream with a spoon right now. Yum! 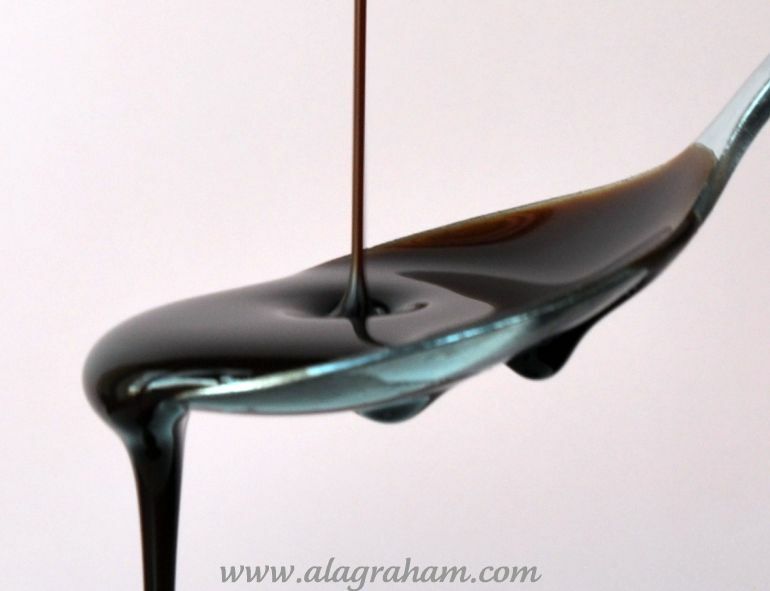 What a gorgeous photo with that chocolate dripping down the spoon! Delicious. It looks scrumptious over the ice cream. 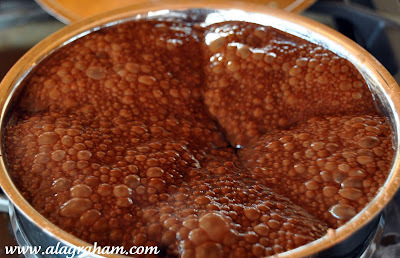 Each photo is amazing and I would love to try to make this syrup myself. It is probably 10 times better than Hersheys! Bravo! You really did a great photo shoot of this, my friend. 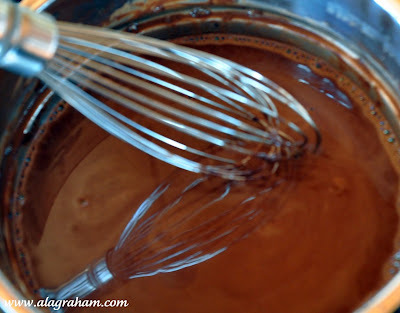 I avoid HFC as much as possible, but I have forgotten about making my own chocolate syrup. So bookmarking this! Thanks for the inspiration.